Celebrity medical news can increase patient demand for important healthcare services. A well-powered analysis in a large regional breast imaging centre, however, finds no support for the hypothesis that the news about "Ms. Angelina Jolie's prophylactic double mastectomy" drove increased screening for breast cancer. In May 2013, Ms. Jolie revealed her BRCA gene status and risk-reducing bilateral mastectomies. 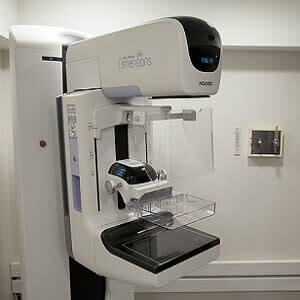 Subsequent studies have provided some evidence for increased gene testing and surgery after this news in the UK and in the United States, but no previous study has examined breast cancer screening utilisation. Researchers at Milton S. Hershey Medical Center, Hershey, Pa. hypothesised that there would be an Angelina effect in screening mammography. They anticipated that underscreened or unscreened women may be influenced to start appropriate screening by the celebrity news leading to greater attention to, and awareness of, the prevalence of breast cancer and the risks of not screening. The researchers investigated this hypothesis of increased utilisation of screening mammography, comparing weekly utilisation at the centre in the two years before and the two years after Ms. Jolie's public disclosure. 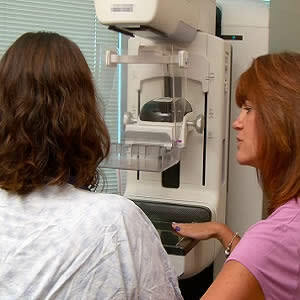 All 48,110 consecutive screening mammograms conducted at the centre between 16 May 2011 and 16 May 16 2015 were selected from the institution's electronic medical record system. The research team used interrupted time series statistical models and graphical methods on utilisation data to understand utilisation changes before and after Ms. Jolie’s news. The graphed trend of weekly screening mammogram utilisation failed to show changes around the time of interest. Analytical models and statistical tests also failed to show a step change increase or acceleration of utilisation around May 2013. However, graphical and time series analyses showed a flattening of utilisation in the middle of 2014. "If confirmed, results like ours offer a sobering reminder of the difficulties inherent in driving awareness of lifesaving breast cancer screening programmes. They also cast some doubt on the utility of using celebrity endorsements to affect positive change," the authors write. 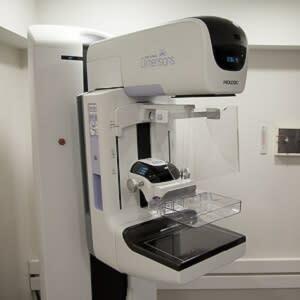 "Improving financial and geographical access to screening programmes and thus lowering the estimated proportion of one in three women failing to be appropriately screened remains the challenge of our time in breast imaging." Reducing breast compression in mammography and DBT: good or bad?